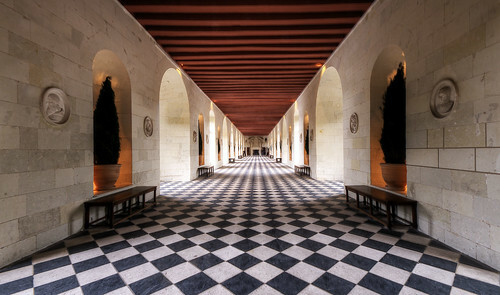 The Château de Chenonceau is a manor house near the small village of Chenonceaux, in the Indre-et-Loire département of the Loire Valley in France. It was built on the site of an old mill on the River Cher, sometime before its first mention in writing in the 11th century. The current manor was designed by the French Renaissance architect Philibert Delorme.